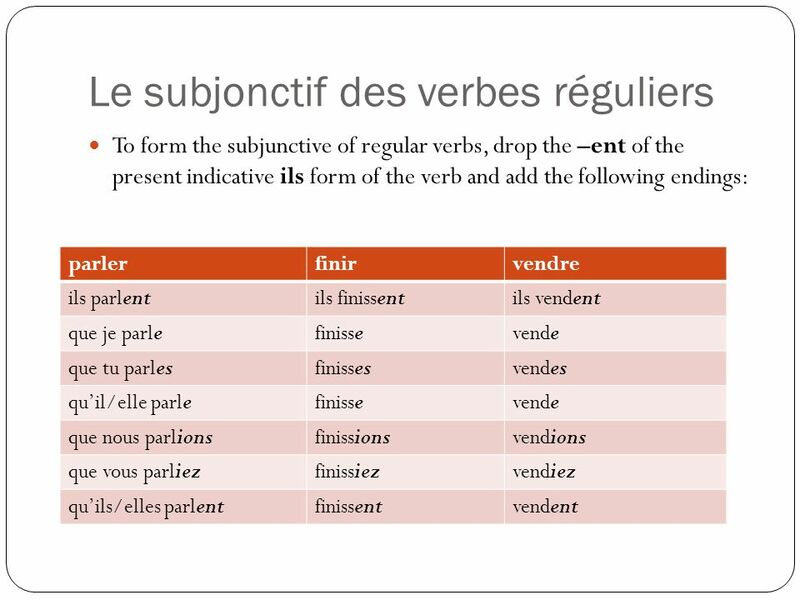 The verb tenses you have learned so far, such as the present tense and the passé composé, belong to the indicative mood. 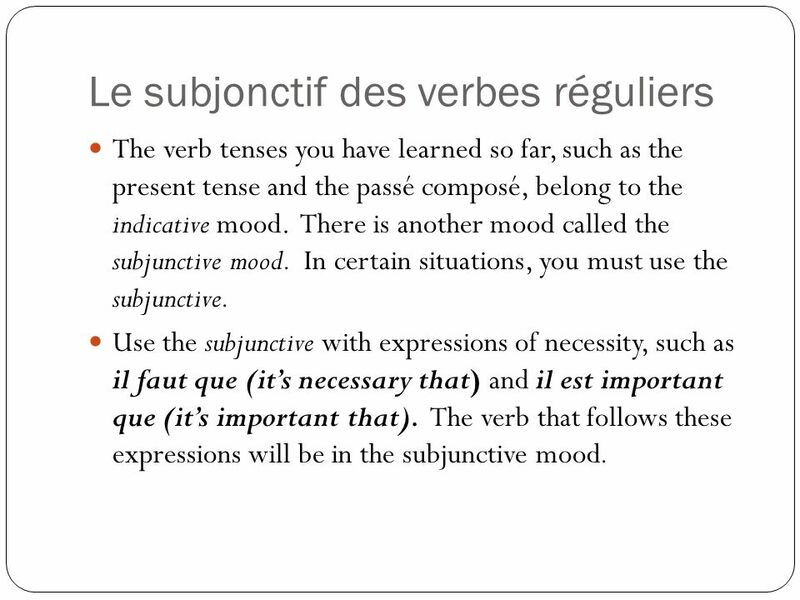 There is another mood called the subjunctive mood. 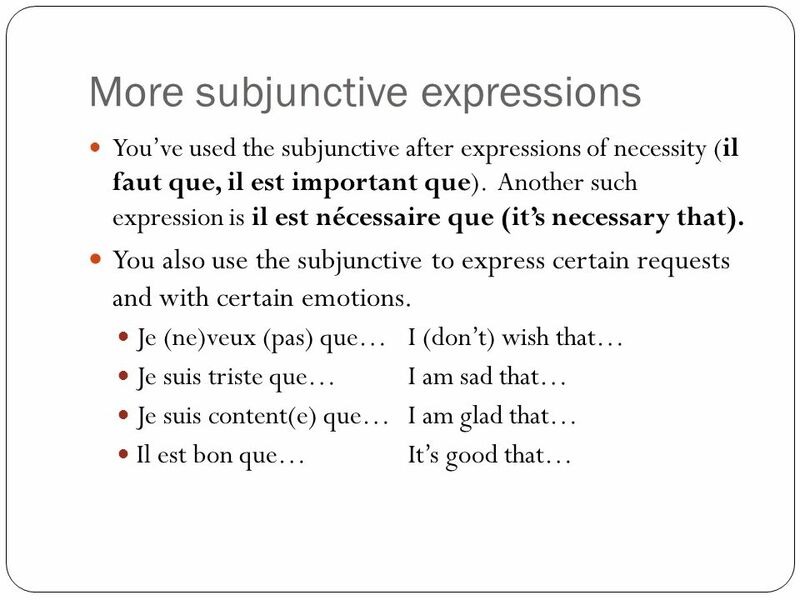 In certain situations, you must use the subjunctive. 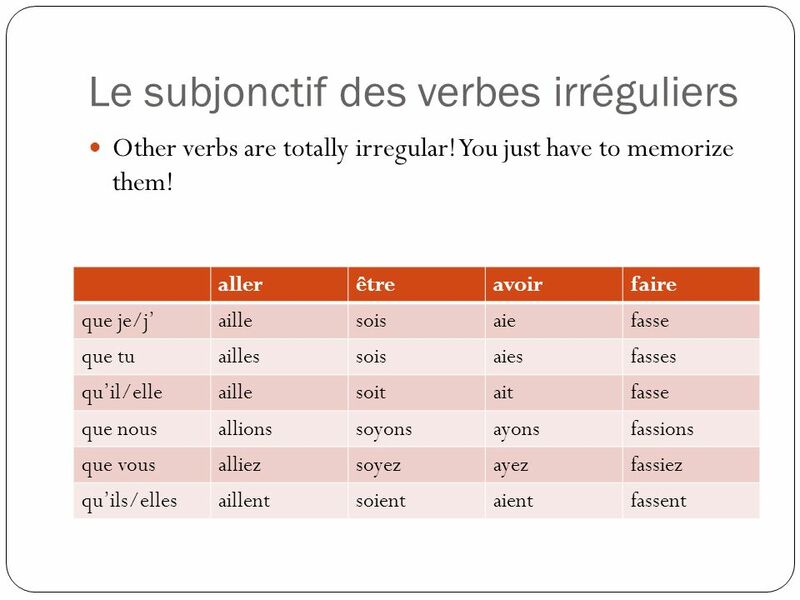 Use the subjunctive with expressions of necessity, such as il faut que (it’s necessary that) and il est important que (it’s important that). 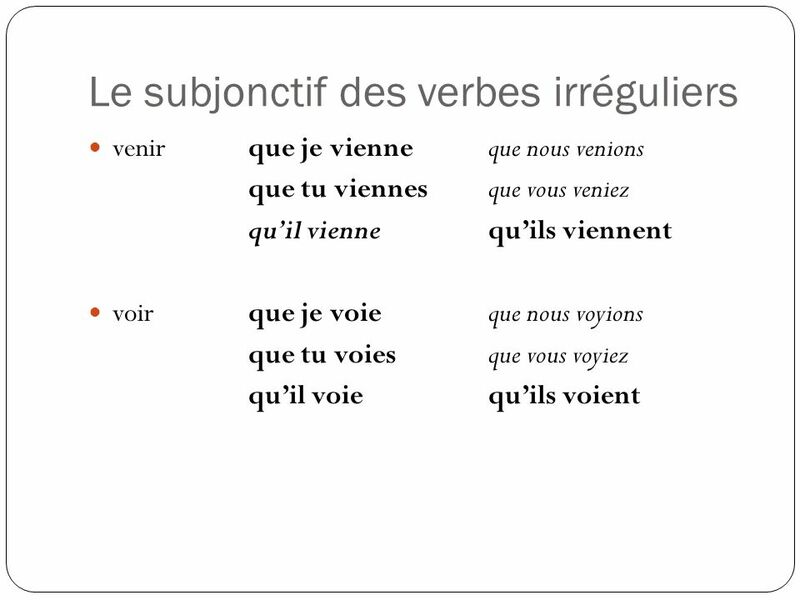 The verb that follows these expressions will be in the subjunctive mood. Il faut qu’il parle au médecin. It’s necessary that he talk to the doctor. Il est important qu’elle finisse ses médicaments. It’s important that she finish her meds. 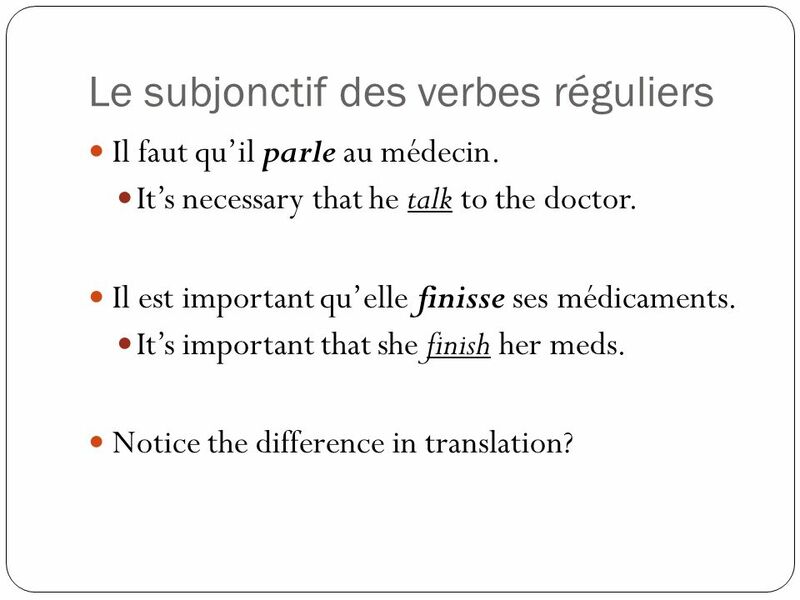 Notice the difference in translation? 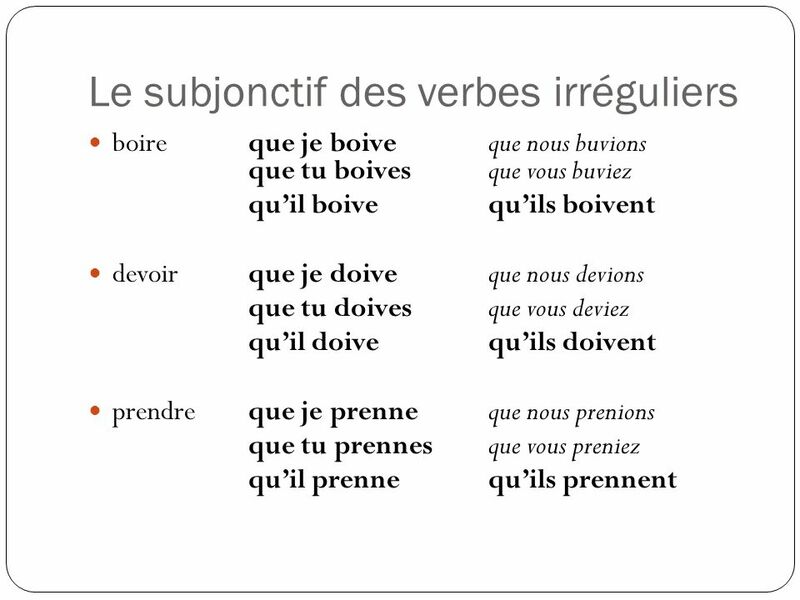 Some verbs, like the ones you’ll see on the next page, have two stems to which you add the subjunctive endings. 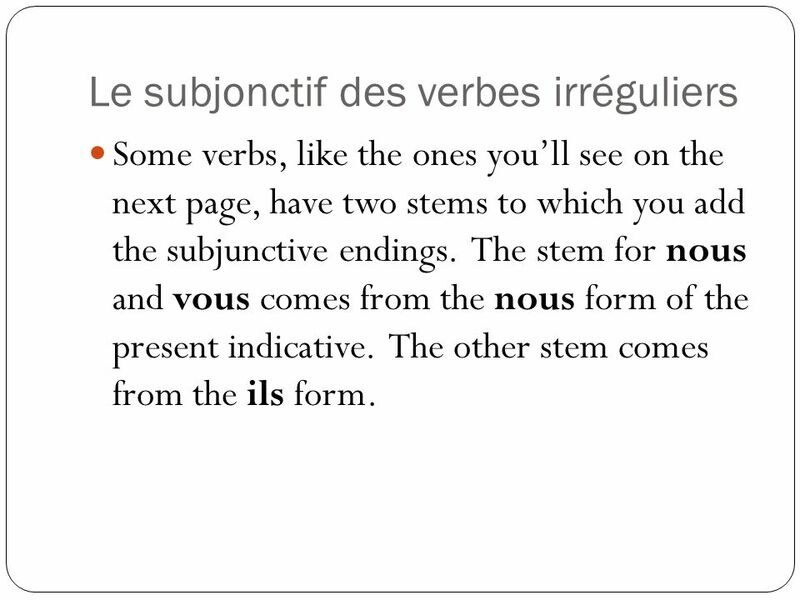 The stem for nous and vous comes from the nous form of the present indicative. The other stem comes from the ils form. 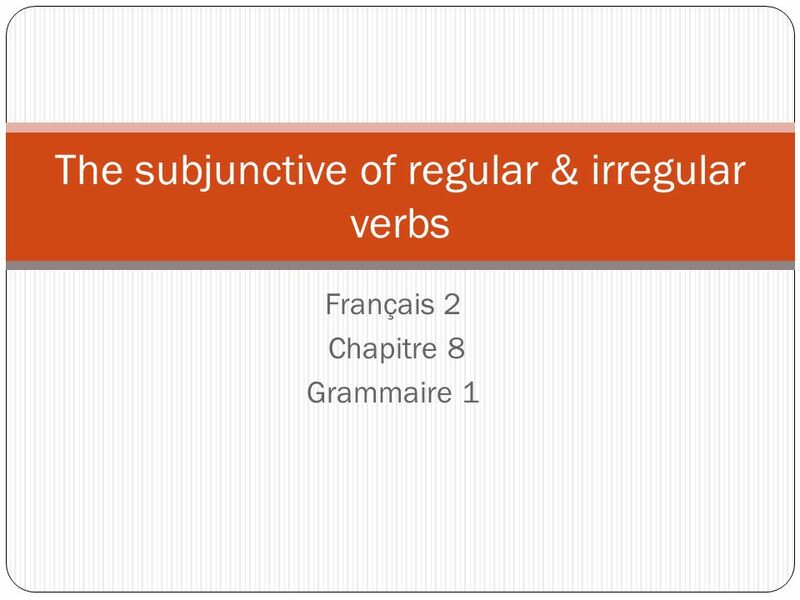 Télécharger ppt "The subjunctive of regular & irregular verbs"